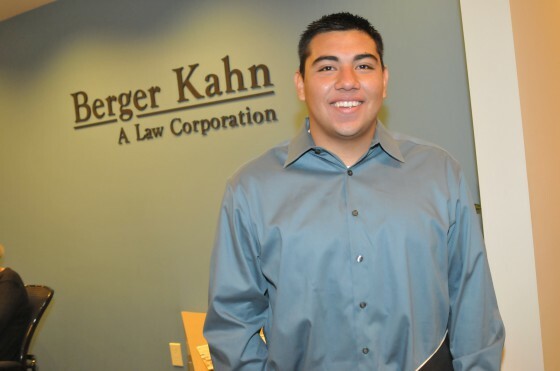 Berger Kahn is providing a paid summer internship program for a Santa Ana high school student through the Project SELF program. Partner Teresa R. Ponder serves as a professional mentor to intern Elvis Bolainez, 17, of Century High School, who began working at Berger Kahn June 19, 2012. The mission of Project SELF is to offer low-to-moderate-income high school juniors exposure to the career possibilities of the legal profession through an eight-week paid internship program. Interns learn office skills, participate in a day in court, and have the opportunity to work alongside lawyers. 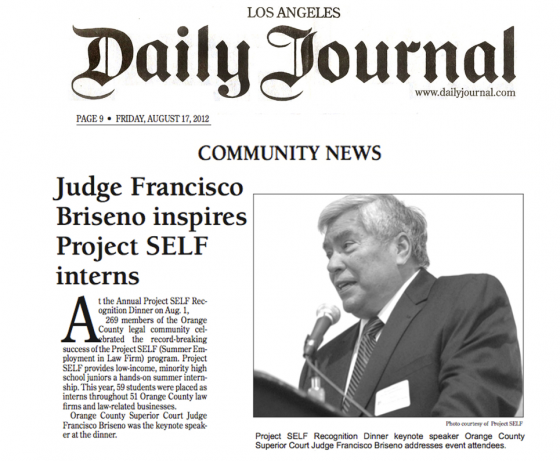 Project SELF was formed as a collaboration between the Orange County Bar Foundation and the Orange County Chapter of the Association of Legal Administrators. Since the program’s inception in 1995, 614 students have participated in the program. ABOUT BERGER KAHN: Berger Kahn, A Law Corporation, is a California-based law firm with practice areas such as insurance coverage and litigation, business litigation, labor and employment, serious personal injury and wrongful death, and subrogation. The firm has offices in Orange County, Los Angeles, San Diego, and the San Francisco Bay Area. Stay tuned for information on Berger Kahn’s participation with Project SELF and watch our Berger Kahn Facebook Page for news and photos. Berger Kahn’s 2012 Project SELF intern Elvis, on his first day in the office. 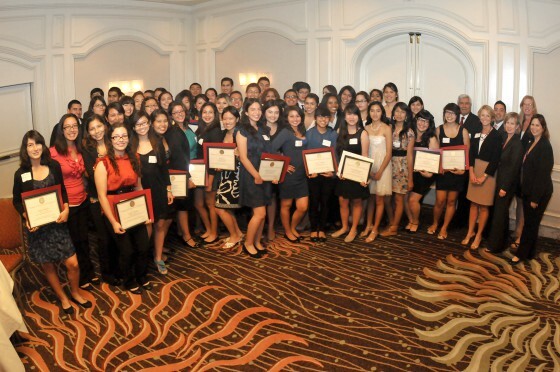 The 2012 Project SELF interns with Judge Francisco Briseno and Project SELF leadership during the program’s annual Recognition Dinner.